Ignition Casino is a new player in the online gaming industry. But, and this is a big but, the backing of one of the largest gambling companies in the United States, that also stands behind the likes of Bovada, Bodog and Slots LV gives Ignition a huge advantage over the competition. Considering the amazing history of this company, we expect it to become one of the leaded brands on the US market for the years to come. As a relatively new online casino, Ignition has prepared a nice welcome package for all new customers that will see players receive a 100% bonus up to $1,000 on their first deposit. Bear in mind that the total amount of deposit + bonus is subject to 25x wagering requirement before a withdrawal can be requested. You will also be rewarded if you refer a friend to the casino, earning 200% bonus on your friend’s deposit up to a maximum of $100. On top of that, you have a chance to get a 100% bonus up to $100 each day of the week, every week. Ignition (and its sister casinos) are the only US friendly casino that offers games by all major game developers on the market: Rival, RTG and Betsoft. As a result, the casino houses a quite impressive game library that includes classic fruit machines, latest video slots, Rival Gaming’s i-Slots, progressive jackpots, 3D slots and more. A very good selection of Blackjack variants and several other tables games is at your disposal as well, with special section reserved for new slot games. Ignition Casino does not offer too many options when it comes to making deposits, but Visa, MasterCard and Bitcoin should prove sufficient for most online gamers. All deposits are processed quickly and completely free of charge, with $20 being the minimum limit and $5,000 the maximum. This casinos offers the smoothest and fastest withdrawals, including the 24h Rapid Transfer option. You can also use Bitcoin and Check by Courier to receive your money. Perfect casino for mobile play. There is a great variety of mobile slots available. You can try all of them for free before playing for real money. Simple sign up & deposit and you are ready to go. 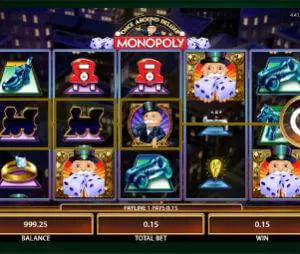 In terms of payouts, these are the Top 3 mobile slots: Good Girl Bad Girl with 97.8%, At the Copa (97.5%) and After Night Falls (97.2%) – much higher than the best paying slot in any land based casino. Developed by a world-famous operator, Ignition Casino has been predicted a bright future and the casino is already able to offer a wide array of attractive games, free Bitcoin payments and fastest withdrawals. Not everything is perfect of course, the bonus WR are a bit high and there are no live dealer tables, but all in all, this is one of the best gambling destinations to any casino fan.